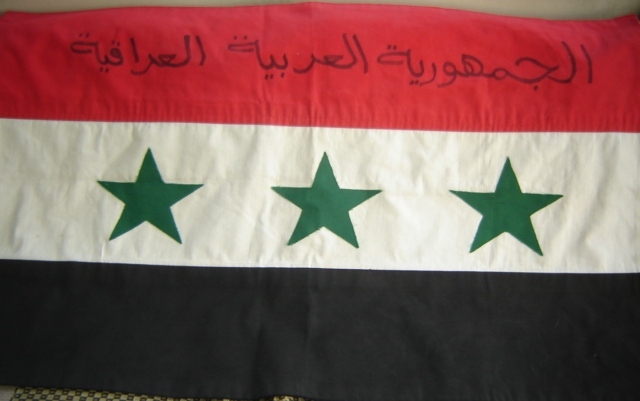 Just as the title implies....this is a Iraqi flag with Arabic writing on it. Not exactly sure what it says. Was hoping someone could translate this for me. The flag of Iraq (1963–1991) purposely looked similar to the UAR's flag because Iraq was interested in officially joining the union as the third state (hence the third star).